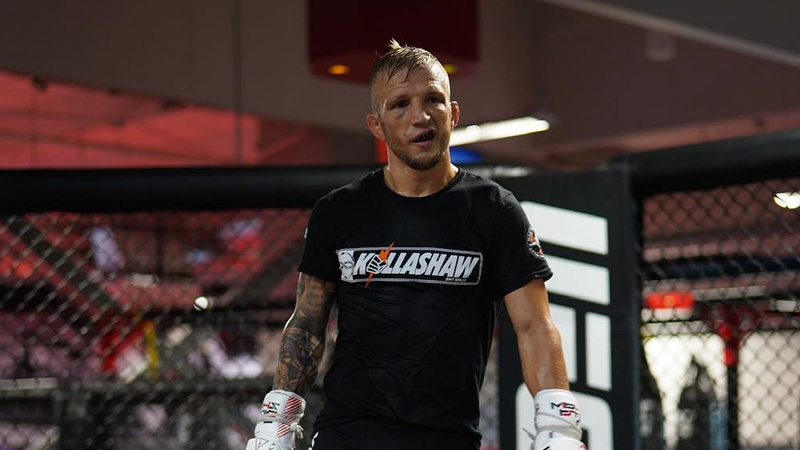 Earlier on Wednesday morning UFC bantamweight champion TJ Dillashaw took to social media and revealed that United States Anti-Doping Agency (USADA) and the New York State Athletic Commission (NYSAC) found an adverse finding in one of his drug tests taken from his last fight, due to of that he’s vacating his title. Shortly after ESPN’s Ariel Helwani also reported that Dillashaw has been suspended for one year by the NYSAC. The substance Dillashaw popped for wasn’t disclosed yet. The suspension is retroactive to Jan, 19 that means it’ll end on the same date by 2020. It’s the date Dillashaw suffered a controversial 32-second TKO loss over Henry Cejudo in an event when promotion made a debut with ESPN+. Stay tuned for more information; the story is still developing.